From this August fans of football will be able to watch even more top class matches in IPLA, the biggest Internet entertainment service known for broadcasting major sports events in numerous disciplines. Now also all Champions League and Europa League matches will be shown live, in high quality and without commercials. The matches will be available in a special IPLA POLSAT SPORT PREMIUM package which will be added to the offer from July 2, 2018. Thanks to this unique proposal, the fans of the best club football will be able to watch the matches wherever they want, and however they want. Starting from August 21, that is the date of the first play-off round matches, 38 best European clubs will be fighting for victory in the 27th season of the UEFA Champions League. And this will not be the end of the thrilling encounters. Shortly afterwards we will see the kick-off of the new season of the UEFA Europa League. All the matches of the two prestigious football events can be watched on IPLA, in the new dedicated IPLA POLSAT SPORT PREMIUM package which will include live broadcasts in high quality and without commercials. a variant offering 7-day access to UEFA Champions League and UEFA Europa League matches for PLN 40. Thanks to availability of IPLA application on many devices, it will be possible to watch the matches at any place – at home and outside home – on any device of one’s choice – on a laptop, a tablet, a smartphone or a smart TV while not missing a single moment of the football games that are so important for fans. All UEFA Champions League and UEFA Europa League matches shown live, in high quality and without commercials. 1029 matches during 3 years, 343 matches shown each season. New kick-off times for UEFA Champions League: 2 matches starting at 6.55 p.m. and 6 at 9 p.m. on Tuesdays and Wednesdays; UEFA Europa League matches played on Thursdays. Around 8 hours of daily live broadcasts every match day – studio commentaries and matches. Most advanced and biggest studio for sports event coverage in Poland – designed specifically for the UEFA Champions League and the UEFA Europa League tournaments. The 700-square-meter studio has 4x4K video wall. Visual realization relies on state-of-the-art technologies – augmented reality (AR) and 3D models. Rich offer of accompanying programs – before and after the matches. In-depth analyses, reporting, interviews, experienced experts and commentators, numerous special guests and many other dedicated materials for football fans. 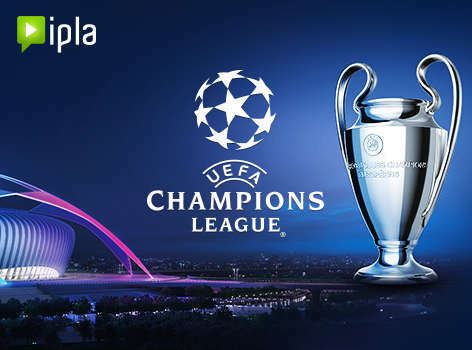 Polsat Group has acquired exclusive rights to live broadcasts of UEFA Champions League and UEFA Europa League for Polish fans in all distribution channels, including TV, the Internet and mobile devices. The new season’s football matches will be also available to Cyfrowy Polsat subscribers and Plus mobile network customers.